A while back, I debated with a friend about the Wesley’s omission (from the Thirty-Nine Articles) of Article 17, On Predestination. 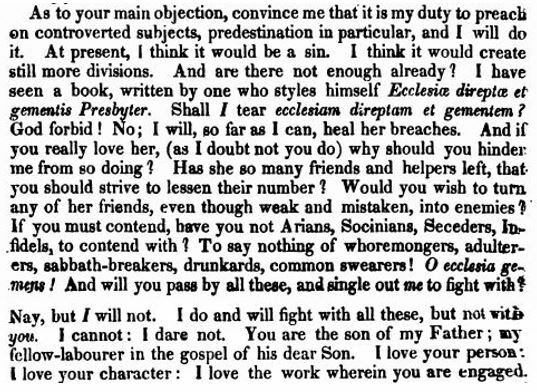 My major point was classical Arminians, like Wesley, had no quarrel with Predestination or Election (given God’s foreknowledge). Rather, their omission owed to the sharpness of party division making Predestination an, all to often, occasion for controversy. 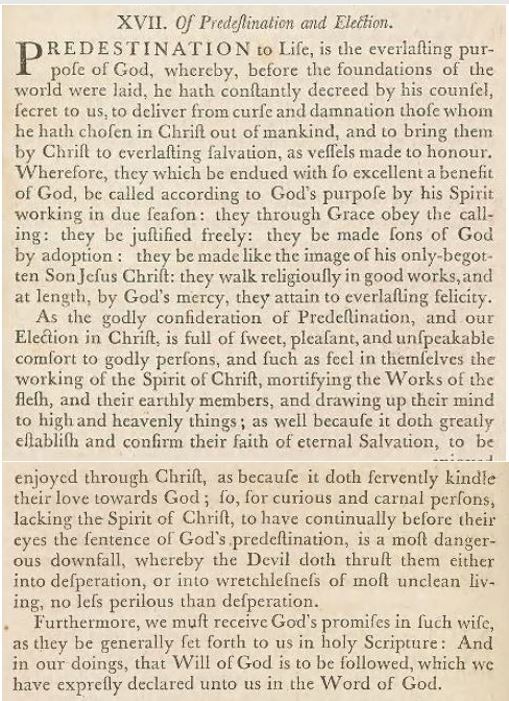 Wesleyans agreed with the Article, though emphasizing particulars related to ‘calling’–“they through grace obey the calling”– rather than assuming too much about “decreed by his counsel secret to us”. Accordingly, when Wesley sent his Abridged Version of the Articles to America, aka. the 25-Articles, with his Sunday Service and Collection of Hymns, he kept only what he believed essential to doctrine and preaching. Remarkably, a form of subscription to the Articles was adopted for, presumably, class or society members in 1864. Not surprisingly, this form coincided with the MEC’s recovering Wesley’s Sunday Services, so it’s part and parcel of 19-century Anglicanization’. A precedent might derive from Fletcher’s requirement that Madeley society members know Articles 9 thru 13 (of the Thirty-Nine). 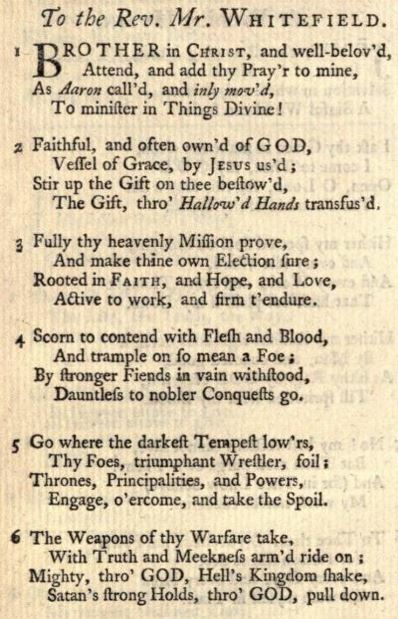 We might keep in mind, Wesley sided with Dean Thomas Nowell during the Oxford expulsions, upholding subscription for university students, school masters, and of course clergymen. 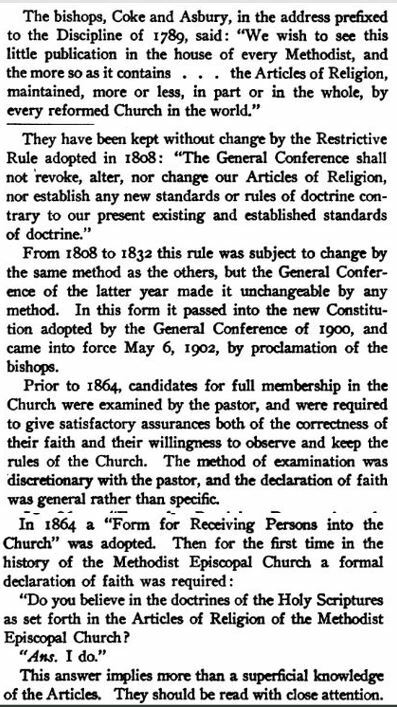 So, the principle of subscription hardly escaped methodism, despite degrees of difference in number of Articles. Wesley was only adopting a reduced version of Articles, avoiding controverted points and somewhat amendable to Toleration. 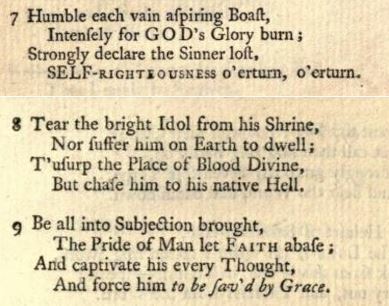 So, the 25-Articles’ abbreviation hardly tell us what Wesley found disagreeable, but what would best ensure the continuation of the Societies without being torn apart, while simultaneously retaining the closest ties to England. 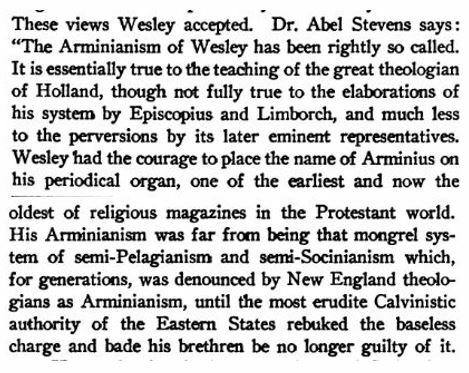 A student of Mr. Wesley and the English Church during its 18th-century Revival might have wondered if Wesley anticipated the eventual deterioration of classical Arminianism (as he feared the separation of his people from the Church). It may very well be this is why Wesley encouraged the regular study of books by his preachers along with founding the Kingswood Academy.. However, this is a question of Wesley’s library as well as the significance of the Academy will be analyzed another time. Eighteenth-century #evangelical Revival mostly kept lid on Enthusiasm, being fairly good about keeping magisterial #Protestant bounds. But, Cane Ridge & 2nd Great Awakening, "marked beginning of the end of European Protestantism in America". Enter countless and manifold sects. While the Scriptures distinctly set forth the election, predestination, and calling of the people of God unto eternal life, as Christ saith: “All that the Father giveth me shall come to me;” they no less positively affirm man’s free agency and responsibility, and that salvation is freely offered to all through Christ.